Getting a traffic ticket can ruin your day. Heck it can ruin up to 3 years of your life with higher insurance premiums. Today I’m going to look at the best online traffic schools. You’ll see all your options for getting out of a ticket and the points on your driving record that are sure to cost you money. If you’re short on time for reading this—the quick answer is this online traffic school is the best. Please note: the schools I recommend all carry A+ ratings with the Better Business Bureau, which is a must for me in order to suggest them. Be confident. Now onto everything you need to know about online traffic school. Am I Eligible To Take Traffic School For My Traffic Ticket? That’s the most important question to answer. Am I even allowed to take traffic school? After receiving a ticket, always, always always contact the traffic court on your ticket to find out if the offense you’ve been cited for is correctable with traffic school. The officer who pulled you over may tell you that you can go to traffic school. Don’t take their word for it. Confirm it with the court. After you do, make sure you find out when you have to complete traffic school by as required by the court. There’s usually a date they want you to submit your traffic school completion certificate by. Know it and try to get the course done early! How Do I Take Traffic School? In a classroom or online. Sure you can take a classroom course but I’ll assume you don’t want to spend an entire Saturday or your weeknights in a room for hours with strangers. That’s why I say take the online traffic school route. Get it done and move on without impacting your life. What Do I look For In An Online Traffic School? The right online traffic school will be approved in dozens of states. I will only point you to schools I absolutely know operate all over the country, with proven track records of getting millions of people out of their traffic tickets. Tablet, smartphone, computer. The right traffic school has worked hard to make sure their courses evolve with our technology. That means it works for you wherever you are, on whatever device you’re using. A fantastic online traffic will have 24/7 customer support. You should never have to wait til Monday at 9 AM to get help with learning meant to be done on your time. Phone, email, and chat support should always be around the clock. This varies by state. Some courts/DMVs only have your school electronically report your completion to them. However, if you have to hand in your certificate of completion to the court, and you’re bit of a procrastinator when it comes to getting your course done, you want to be with a school that offers expedited services like FedEx 2 Day or Overnight Delivery. If you have plenty of times, most schools offer free mail delivery but if you’re in a hurry you need to know you can get that certificate fast for court. A great online traffic school knows their reputation is everything and offer you a money back guarantee on their courses. If it turns out an online course is not for you or you’re having difficulties you should be able to get a full refund. My intention is to advocate for online schools because I largely prefer it to classroom but everyone’s learning is different so I still believe in a school with a solid refund policy. Will I Like Online Traffic School? Only if you’re a little weird. It’s not supposed to be fun but a great online traffic school will work their tails off to provide a course that’s interactive and at the very least, tolerable. You should see a lot of pictures, videos, and interactive exercises so you’re not just going “click, read, read, read, click” for several hours. So… Who Is The Best Online Traffic School? And Why? Why: The leader of the industry, I Drive Safely has been helping millions of people get out of traffic tickets for over 15 years. All of the benchmarks above I mentioned for online traffic school? I Drive Safely defined those standards. They have approved courses in the most states [including California and Texas] with 24/7 support and expedited delivery is offerd. They continue to build on and improve their courses so you can take them anywhere and offer a money back guarantee on their courses. I Drive Safely is simply the master of online traffic school. Why: While primarily focusing in teen and adult drivers ed, DriversEd.com has many fantastic offerings in online traffic school. They were the one of the first companies to launch apps for traffic school. Their courses are rich with interactive features that work on multiple devices. They also offer round the clock support and expedited delivery. Why: Best execution of a course, Improv‘s affiliation with its comedy club namesake has made them really try to push their courses as edutainment. They are state approved all over the country and recently became the sole licensed provider of online traffic school in Kentucky. That’s a major vote of confidence. Why: The new kid on the block. Aceable entered the traffic school market with one of the most fantastic apps I’ve ever seen. Their clean designs and easy to use platform make them perfect for any device. They’re very affordable as well. As a new online traffic school, they’re not everywhere just yet but I can absolutely recommend them if you’ve gotten a ticket in Texas. Whatever course you choose, my hopes is the tips and advice on this site is able to guide you successfully through traffic school and on the path to leaving your traffic ticket on the road behind you. Good luck! Los Angeles County Traffic Court: How to Get Out of a Traffic Ticket in LA! There were 1,360,395 cases filed for traffic infractions in Los Angeles Superior Court in the 2013-2014 fiscal year. A study by Nerdwallet.com, finds that 5 of 10 of the most expensive areas to get a ticket in the entire state of California are within L.A. County, with the true costs of a $35 ticket being more like $700 after fines, fees, and insurance increases. There’s big business in tickets for local municipalities who finance their budgets on traffic tickets and for insurance companies that get to say “Gotcha!” and jack up your insurance rates for 3 years. What’s most important after you get a ticket is how you deal with it. Do not simply pay the fine and try to move on. You’ll see your insurance premiums go up as high as 25% for the next 3 years. Keeping in mind most people in California pay around $1,000 to $1,200 for their car insurance each year that is major jump and will put some serious pain on your wallet. If the violation you’re facing is correctible with traffic school, you absolutely must take that opportunity to avoid points on your license. You’ll still be stuck paying your fine and applicable fees but this is about minimizing the damage to your driving record. That’s right. You have to apply first with the county to be allowed to take traffic school. You can do so by going here. LA will charge you $64 to take traffic school if you’re approved for your violation [that only pays for the right to go to traffic school, you still have to buy your traffic school course]. You’ll have 60 days from when you were allowed by the state to take traffic school [like this one] and complete it. Traffic Schools with actual classroom courses have been around for decades, but I tend to recommend online courses since most folks would prefer to take a course in their home on their own time than when a brick and mortar traffic school offers classes. Typically online courses are required to present about 8 hours’ worth of curriculum. It won’t be fun but then neither are rising insurance premiums. Upon successful completion of your traffic school course, your online traffic school will transmit your completion to California DMV. Your LA Traffic Court will pull your DMV record to corroborate your completion and from that no points will be added to your driving record. California DMV will typically take about a month to update your record so don’t expect this to happen instantly. Check your driving record about a month later to verify completion. At that point, if your record is incorrect, contact your traffic school about re-reporting your completion. For Online California Traffic School, we recommend I Drive Safely. Check them out! Kentucky Traffic School: Changes Ahead! Big news from some of my contacts at Kentucky Department of Driver Licensing today. The state’s Transportation Cabinet has apparently updated its traffic school contracts. Unlike most states that allow many online traffic schools to operate as long as they meet certain curriculum requirements, Kentucky has only one single approved provider for online traffic school [the state actually seems to have on stronghold classroom courses as well]. What does any of this mean to you? Well, the school that was the lone provider of online Kentucky Traffic School, IDriveSafely.com no longer is. It also means their DVD Traffic School courses will no longer be available to people of the state either. Yes, for those of you with little to no internet, there was a DVD course option. The new authorized provider og online Kentucky Traffic School will be Improv. So if you’re a speed demon, a distracted driver, or the type to try really hard to make the light before it turns red, make sure you bookmark these changes. I’ll be updating the main piece on my site for Kentucky Traffic School with all this information but such a big change did seem to warrant its own piece. Stay Informed, Kentucky and should you need traffic school, be sure to check out Improv’s Online Kentucky Traffic School course! Got a Traffic Ticket in Florida? A Basic Driver Improvement Course Could Save You from Points on Your License. If you’ve ever gotten a ticket before you know how nerve-wracking the entire process can be: Fines, court dates, points on your license, and then your insurance company gets notified. If this is your first violation, you may have no idea what to do first. A traffic ticket is the gift that keeps on giving for 3 years as your insurance premiums skyrocket. In Florida, you don’t have to settle for that though. You can take a 4 Hour Basic Driver Improvement Course to forgive points on your record for a pending traffic ticket. Today I’m going to explain how to navigate through the Florida Traffic School process so you can get the whole thing behind you. First, know that you should try to contact the Florida traffic court listed on your ticket right away to ask for traffic school so avoid points on your license. Not immediately, but give it a few days until after you got the ticket [the Justice system needs time to catch up]. Make sure you request traffic school within 30 days of your citation at the Clerk of Court in the county where you received the ticket. You’ll still pay the fine associated with your violation and possibly some administrative fees for traffic school but this will be small in comparison to what not taking traffic school could do to your insurance rates. Had two crashes in a two-year period, which resulted in property damage greater than $500. Again, as long as you are eligible for traffic school, you just have to request traffic school in person at the appropriate county court or by mail. The court will tell you how to send your certificate of completion to them [via mail, fax, in person] and give you a deadline to complete a basic driver improvement course by. Once you’ve completed traffic school and turned in your certificate of completion to the court, wait about a month and then request a copy of your driving record. The violation you committed will still show up but the points will not be applied to your record which will keep you on the road with low insurance premiums. Getting a driving ticket in California can be a devastating blow to your driving record and your wallet. Today I want to go over how the point system works in California and ways to avoid those points so you can feel confident when you drive. How do traffic points affect your driving record? Whenever you commit a traffic violation, points may be assessed to your driving record. In the short term, points added to your driving record will affect your insurance rates, causing them to go up. An accumulation of points on your record or a severe enough violation can cause your driver’s license to be suspended or revoked. You receive 6 points or more within a 24 month period. You receive 8 or more points within a 36 month period. What violations add points to your driving record? Points will double if you are driving recklessly, speeding over 100 MPH, and driving while under the influence. Unless the officer who pulls you over just gives you a warning, you will get a ticket for these offenses and points will be placed on your driving record. The more points you get the quicker you will lose your driving privileges. How do I get points removed from my license? How Do I qualify for California Traffic School? Traffic school is the only way to get points removed from your license without letting the years pass. You can go to a traffic school’s classroom course in your area or take a California Online Traffic School course all from the comfort of your own home. You’ll be able to qualify for traffic school as long the offense was a moving violation [no parking tickets] and you have a standard driver’s license [no CDLs]. The offense also cannot be a misdemeanor. New Jersey is definitely a consumer watchdog state. Many states have no major regulations on insurance discounts and whether they even have to be granted. However New Jersey requires insurance companies give anyone who completes an approved defensive driving course an automatic 5% deduction of their insurance rates for 3 years! More importantly, New Jersey allows for the same defensive driving courses to also clear 2 points off your driving record once every 5 years. So traffic tickets can be wiped off your record or minimized in combination with the mandatory insurance reduction New Jersey guarantees you. So here’s the really good news: all you have to do to get a discount on your auto insurance premiums is complete a New Jersey MVC Approved Defensive Driving Course [like this one] and you’ll be able to claim a 5% discount on your insurance costs. This is a state mandated discount so any insurance provider will have to honor it. Just complete the course and submit your certificate of completion to your insurance company for the discount. This discount will recur for 3 years! After that, you just take a renewal of the course to keep that discount going. Easy peasy! A New Jersey Defensive Driving Course can also remove 2 points from your driving record, regardless of whether these are old points from a previous violation or new ones from a current violation. The other good news is you don’t need permission from the court or New Jersey Motor Vehicle Commission to take the course. You can take the course for point reduction once every 5 years as long as you have at least 2 points on your driving record. Once you’ve finished the course, your traffic school will transmit your completion to the New Jersey MVC. Give it about a month before you check your driving record [the state will need a few weeks after your completion to catch up. Keep in mind, fines and penalties are something separate from driving record points. You will still be subject to penalties and fines from the ticket [which you HAVE TO pay no matter what]. Defensive Driving Courses are really meant to keep you on the road by removing points that could put you in danger having your license suspended [12 points equals a suspension] and also keeps your insurance costs down. It’s really the only course of action available to you to help improve your situation. With all this in mind, we recommend I Drive Safely’s New Jersey Online Defensive Driver Course to help you with points/insurance reduction. It’s a class that can be done when you have free time. You can stop and go as you like and it can be done at home. It’s the very best way to improve your problems caused traffic ticket, without having to impact your daily life and routine. You can better your situation right on your coach. How The New York Point & Insurance Reduction Program (IPIRP) Gets You Out Of That Traffic Ticket! In New York, you don’t have to take a traffic ticket lying down. Whether you’ve recently gotten a ticket or have to bring down the cost of your insurance because of too many tickets, there are options out there to help you. Insurance rates can skyrocket due to a simple speeding ticket and that can affect what you pay your insurance provider for up to 3 years. These offenses can show up in background checks and if a prospective employer pulls your driving record because a valid license or clean record is necessary for the job…uh-oh! Think about that. A ticket that doesn’t just cost you money but maybe prevents you from making it. The good news is New York State’s Internet Point and Insurance Reduction Program (IPIRP) allows you to take a defensive driving course either to remove points from your license or get a 10% reduction in your insurance premiums. You can have up to 4 points removed from your record depending on the violations you’ve incurred. 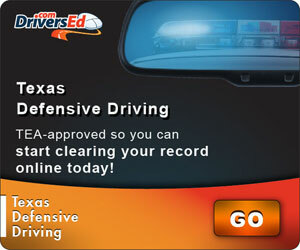 The defensive driving courses are typically offered in classroom or online settings. I really only would ever recommend a classroom setting if you had no internet access or were absolutely terrible with a computer. Otherwise, why spend 6 hours of your evening or day off sitting in a traffic school class with total strangers right? Online courses are the way to go to make this as painless on you as possible. Upon completing your course you’ll get a certificate of completion to turn into your insurance company to receive your discount. These discounts can even be retroactive so the discount applies to the beginning of your current insurance term and you start saving money immediately. Contact your insurance provider for their exact terms. For point reduction, your traffic school will report your completion to the New York DMV. While they likely will report you right away, remember the DMV is giant bureaucracy and it may take them so time to act on your completion. I recommend checking on your DMV record after about a month to make sure your points have been reduced. If your record doesn’t reflect the completion, follow up with your traffic school to make sure there was no trouble reporting you. DriverSafetyCenter.com recommends I Drive Safely for its New York Defensive Driving course. Once you receive a letter from the state citing your allowance to take traffic school [they’ll also tell you how many points can likely be removed. In your particular case, you can sign up for a classroom, DVD, or online traffic school course. My instinct is to always recommend an online course as I assume most readers would like to avoid spending their day off in a classroom with strangers. The DVD course options ring too much of a correspondence course when people need instant results. So that’s why I recommend the online option. Upon completion of traffic school, you’ll turn in your certificate of completion to the court. As with previous offense, you would want to check your record about a month later to make sure your driving record has been updated. Now, when it comes to what online traffic school you should take, there’s actually only one. 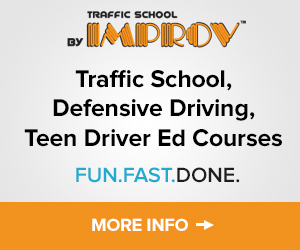 This isn’t merely me recommending it but it is literally the only Kentucky approved online traffic school course; Improv’s Kentucky Traffic School is your single option to dismiss your ticket or remove points from your record. The course may also be good for a premium reduction from your insurance provider as well in addition to the point removal benefits.